sorry i haven't posted recently! 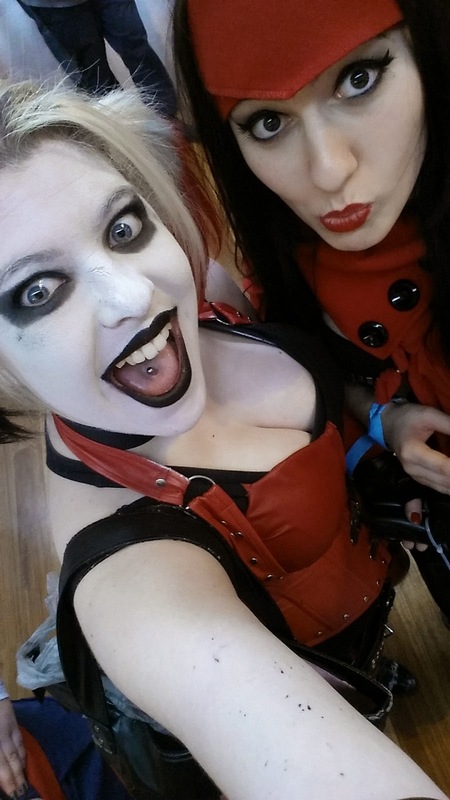 it was my 21st birthday and then Oz Comic Con !! Crazy two weeks! but i am here now to share my (first!) 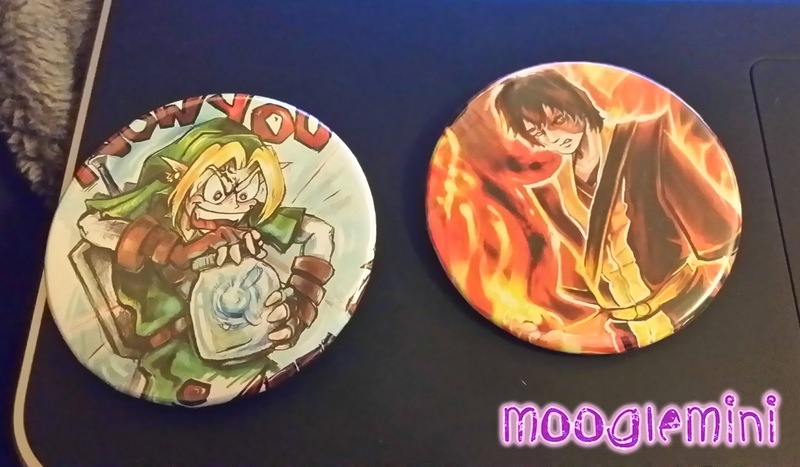 oz comic con experiences with you along with some of the things i purchased while i was there!! 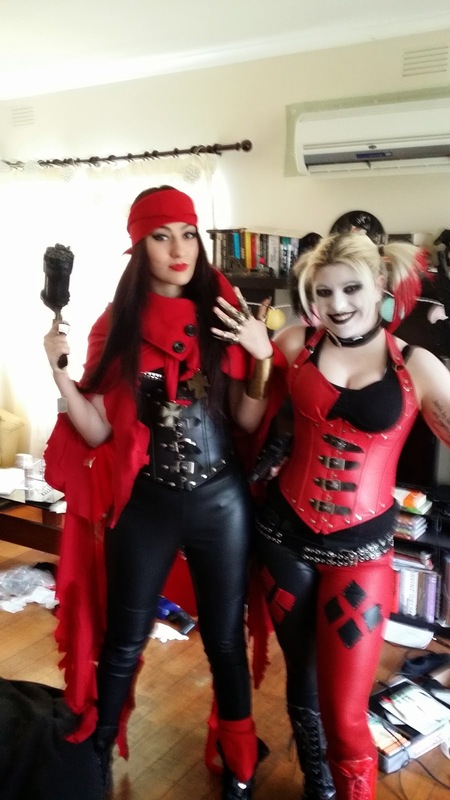 So, this was Georgia's FEM Vincent Valentine costume debut as practically every time we've tried to get her to a con she's been called into work !! For the Sunday we went though she was poppin cold meds like a cray kid! as usual when attending a con in melbourne - due to ease of access we caught the train in from our closest station! LITERALLY ACROSS THE ROAD! - so good! 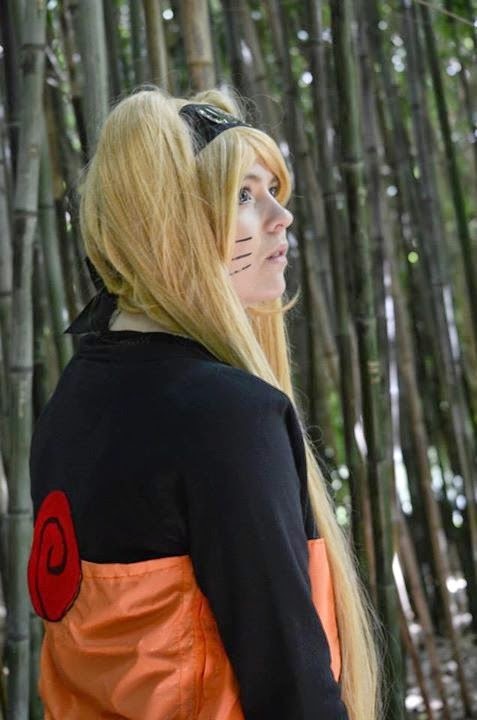 i enjoy catching the train to conventions especially when i'm in cosplay because the reactions of people who are generally outside the convention goers and that kind of thing is really awesome to see! 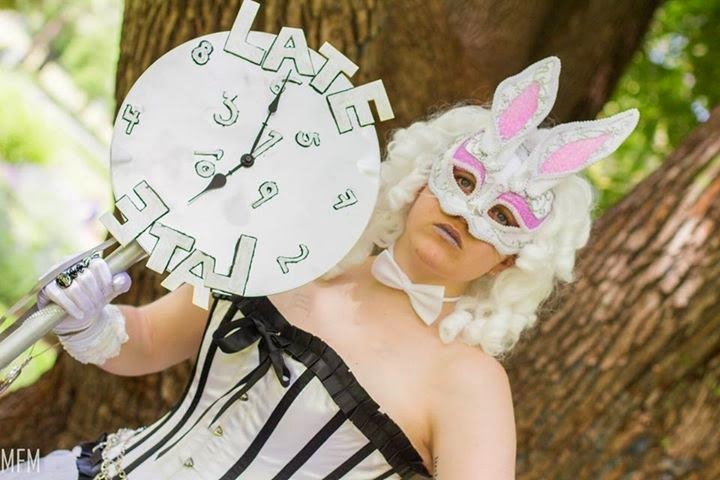 i've had people who haven't ever heard of conventions being in australia say my costume looks really great and they recognise the character - so i love that! also because it's easy for us from our house! okay ! So we met up with friends at the exhibition building in melbourne's CBD. and we purchased our tickets :D we were really super lucky as we arrived in a huuge lul in the ticket crowds and it took less that 5 minutes for all of us to have our tickets! we were excited to be at the con finally and so we were keen to get inside! we had our weapons checked and cable tied to show that they were safe and we went in! as the norm of going to a convention with a group of friends we lost most of them practically straight away! the crowds weren't as bad as i thought they'd be and so we had a successful walk around the entire bottom level of the convention before the photography mobbing began! i was astounded as to how popular our costumes were! and especially amazed at how many people wanted photographs of us together - it was on the train ride home that we discussed it was most likely because our costumes matched and Georgia's Vincent outfit was harder to recognize as a genderbend... or something like that. It gets pretty hot in my costume so we headed outside for a break where we met some really awesome people in some really amazing costumes and who were just really friendly! And we found the rest of our group! hooorayy! reunited! We were also approached by more people wanting photographs and Georgia got pulled aside by awesome photographer - Trung Do (links below!) who took some really amazing shots of the convention! We were also asked to do some posing for a video which we're super excited to see! After we'd had a break and photos outside we headed back in to begin our hunting of things we wanted! 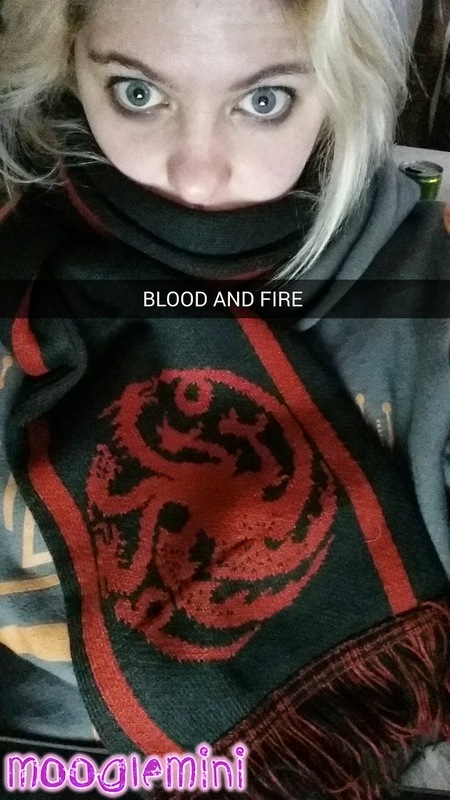 I started off our purchasing with the buy of the last House Targaryen scarf one store had! it's really amazing, soft and warm so cosy for the cold melbourne winter we were out in! While Georgia and I Were strolling around at some stage we were run up to by some friends of mine who were fangirling all over the place about an artist they found who was totally amazing. And so while they went upstairs to meet Jennifer Morrison - Once Upon A Time actress, we headed off to find the artist. and we did! and we were happy we did. It was coming to the end of the con and so we were getting a bit tired and sleepy and as we approached the Artist that my friends had spoken about she called us over and said we looked like we needed a freebee! 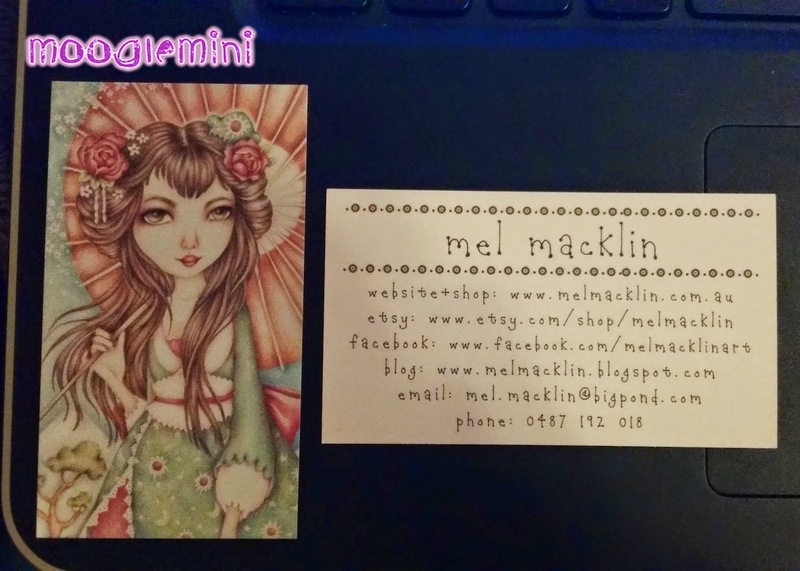 :D This artist was Mel Macklin (her card is pictured below next to the postcard we were given!) 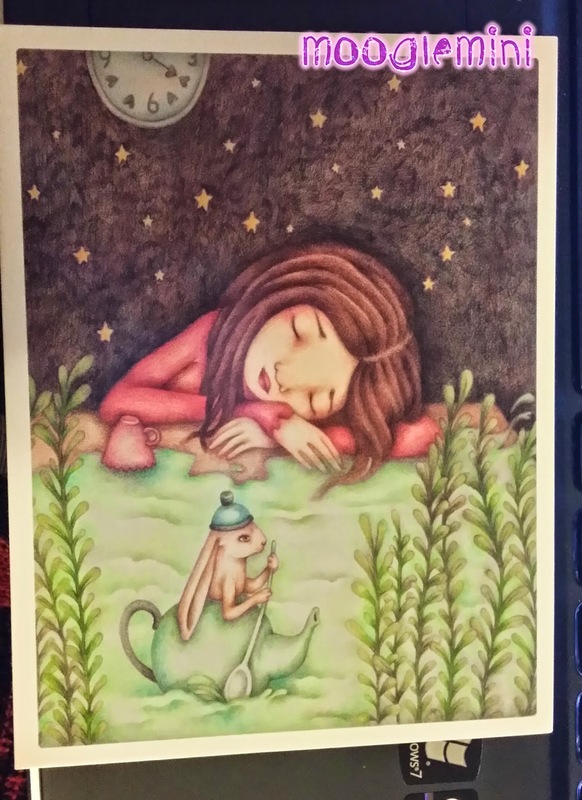 She is a totally amazing artist who is the creator of some of the softest works of art i've ever seen! they're so serene and just look so soft! 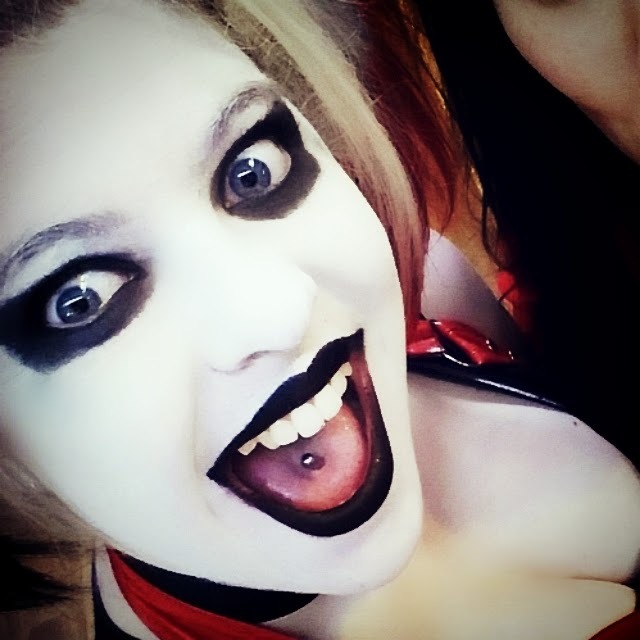 We had a seriously great time and one of the highlights for me was being asked by a stall person at Silver K Gallery (links below) to have my picture taken with the newest Harley Quinn artwork they had in! 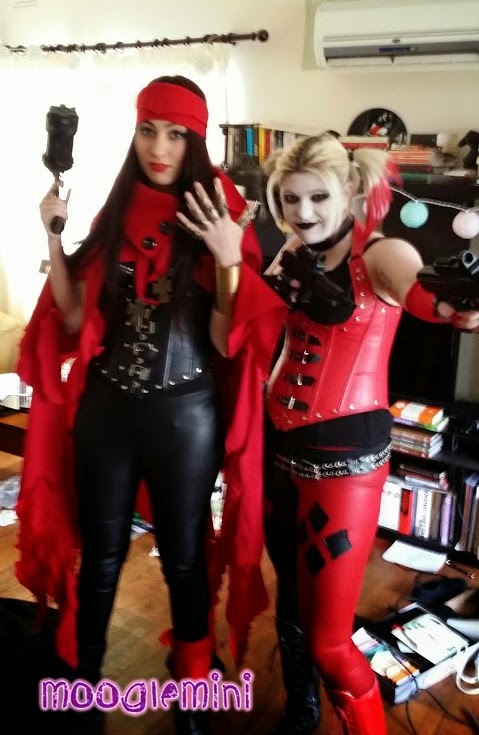 Another really fantastic thing that happened for me was that i was reunited with a cosplayer i met on the train last year who helped me fix my costume to cover my broken hand! :D REUNITED !! We were getting very tired and so it was time for us to leave. After 5 hours at the convention + 2 hours travel there and back we were ready to get home and wash off (my!) make up and get out of tight costumes. 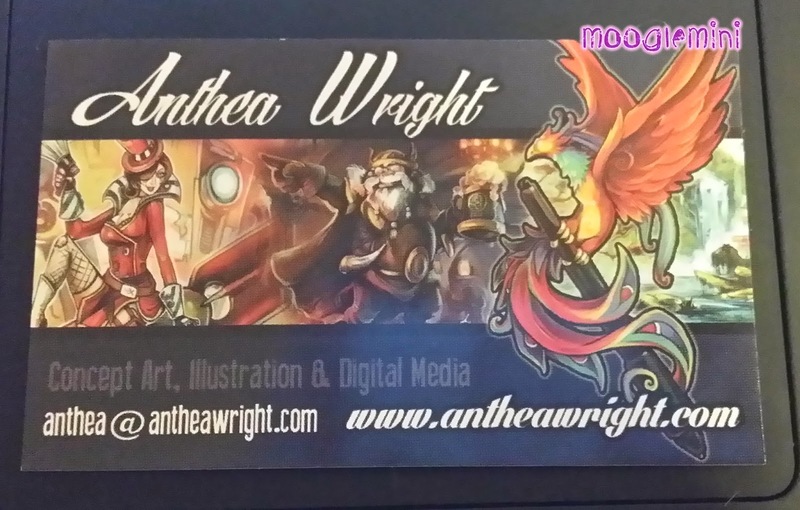 You can check out the photographers and stores i mentioned above on these links below! and make sure to like their pages! 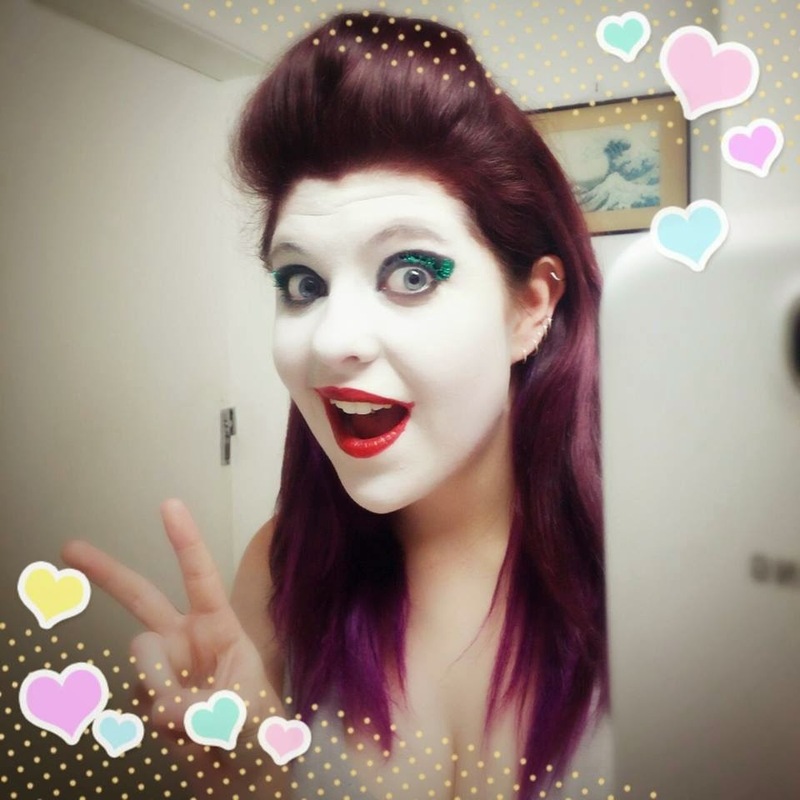 i've began progress on my Ursula Cosplay so keep an eye out for my posts regarding that! i've also purchased some random things from trips to daiso and of course things i got for my birthday! So, many posts ahead! choo chooo! !